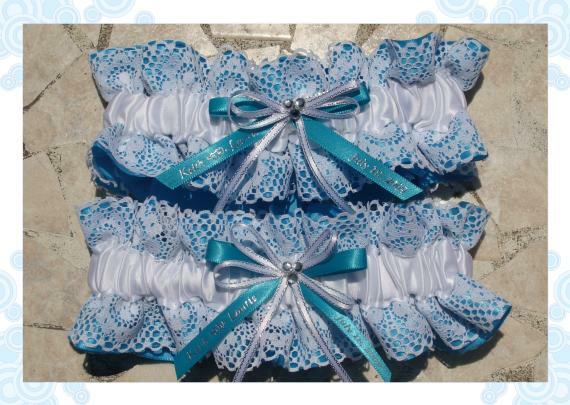 Click here to order a custom garter. 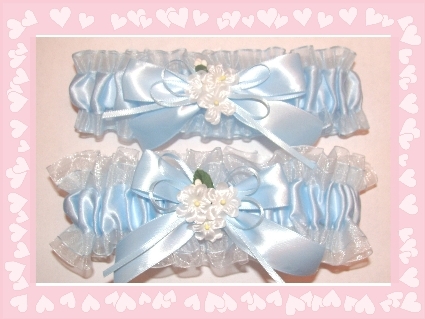 Custom garters take approximately 5-7 working days for processing and another 2-3 working days for shipping. Choose from dozens of colors. We can mix and match laces, satins, chiffons to create a custom garter for your special event! Come in today and we can create a custom garter fit your style and budget. 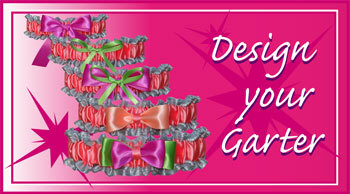 Custom Garters start at $22.95. Personalization, such as engraved charms and personalized ribbons are extra. Please allow at least one week for your garter to be made.